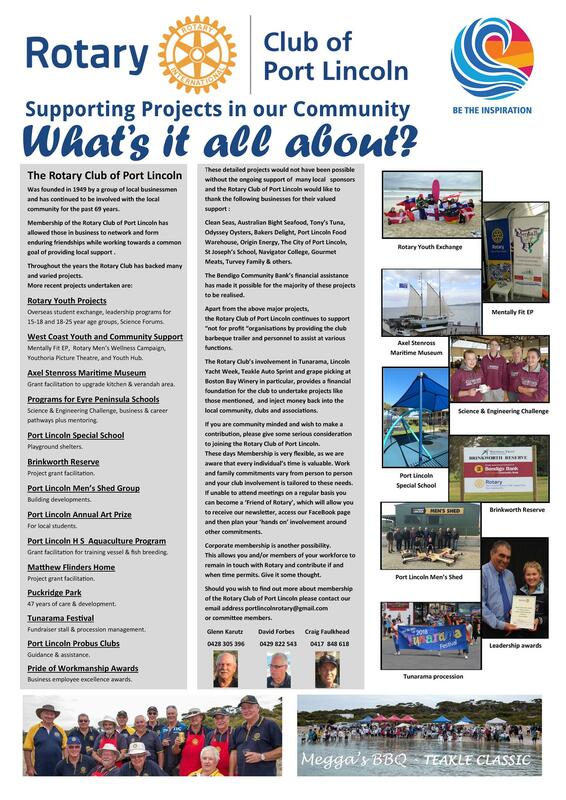 Welcome to the Port Lincoln Rotary Club. Meets the 2nd and 4th Tuesday each month, to register go to club events. should show others that we can clearly "Be the Inspiration" in our community. becoming new members of our Club. and like and share as you wish, amongst friends and associates. Dinner Meeting Ken Martin Partners night.